Spotless and Flawless cleaning services LLC is a unique business venture owned by an American lady by the name of Laila Abdul Rasheed who is passionate about keeping her home and office in a clean and neat condition. Super High is the company you can rely on for *General Cleaning, *Deep cleaning, *Shampoo Cleaning, *CommercialServices. We have been one of the leading companies in Dubai. Our Filipina staff of hard-working cleaners who set the highest of standards while they work. Theyll clean to you specificationsexactly. We want to make sure you get what you want and do what is necessary to make that happen. We pay close attention to the tiniest of details and clean your home as we would our own. Our High Trained Fully Insured And Experienced Maids Will Take Care Of You House Cleaning Needs.We Offer Cleaning Services That CaterTo Your Availability And Life Style As We Understand That Your Cleaning Needs Will Very From Week To Week With Our Services Catered To Each Into Your Client. We Are Confident Our Residential Cleaning Services Cannot Be Beaten .We Also Offer A Comprehensive Comercial Cleaning Services To Both Small And Large Business (Including Offices, retail Speces And Other Commercial Establishments. At TelUs Care, we understand problems of company and individual regarding Business or Financial problem better, and therefore, we strive to offer you the best of Business and Financial solutions. We allow SBP(stratgic business provider) products and services to register on our portal under guidelines of Assurance Solutions as www.teluscare.com and provide 360 DEGREE SUPPORT A user friendly interface Find out and sort suitable partners. Find out best services provider with help of user reviews about SBP. complete virtual portal for quotation management, confirmation, customer support, payment history, and legal support in case of any dispute Free registration and online customer support. Best-in-class match-making services. Teluscare Offering health insurance, car insurance, cleaning service, pest control, car towing, car wash & repair services in UAE. Get best free quotes, Calculate, compare and book online services nearby you at your convenience. 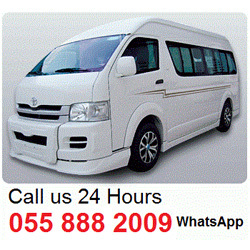 Our service in Dubai, Abu Dhabi, Sharjah, Al Ain, Ras al Khaimah, Fujairah, Umm Al Quwain. Our trained leather specialists use a proprietary leather cleaning system to clean and moisturize all your leather. The Leather Doctor is world’s top furniture manufacturers and retailers for art of cleaning, restoring and caring fine leather products. The Maid Company is conceptualized by ’On Demand Cleaning Services’ which is part of Pact Employment Services, keeping in mind the cleaning requirements of every resident of Dubai whether the resident lives in a Villa, a Duplex or a Flat. We are Time Star Cleaning Services providing best cleaning and maids service to our valued clients. We Provide maids for all kind of office cleaning, building cleaning, commercial and residential cleaning services.